There are some notable names missing from that line up, including Man. United, who famously lost 4-0 at MK Dons, and Arsenal, who were turned over at the Emirates by Southampton. However, the two top teams in the country remain in the competition, and both Man. City and Chelsea will fancy their chances of getting some silverware under their belt by March. A healthy seven of the sixteen teams above are from the Championship or lower, and at least two of those will make it to the quarter finals, with MK Dons playing Sheffield United and Fulham up against Derby. A look at the recent finals shows that the big sides don’t have it all their own way in this competition, and with most bookies offering each way bets on the winner, just reaching the final could be enough to turn a healthy profit. Each of the previous five finals featured at least one team from outside the top half of the Premier League, and in the case of Cardiff and Bradford, teams from outside the Premier League altogether. There has been much written about how the top sides treat this competition, and it may have lost some of it’s lustre over the years because of it. However, it’s not just the big teams that choose to play a second string. It’s not unusual for the Premier League strugglers to rest players these days, and we’ve even seen Championship sides opting to treat this cup as a low priority, while they concentrate on the holy grail of promotion. 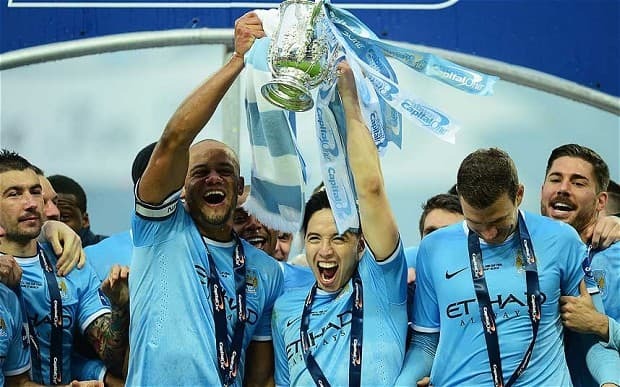 The best odds on Manchester City to lift the cup are 13/4 4.25 +325 3.25 3.25 -0.31 with 888Sport, while Chelsea can be backed at 11/4 3.75 +275 2.75 2.75 -0.36 with Coral. Both have a strong chance of winning, that much is obvious, but we won’t be taking such short odds on teams who will be concentrating on the Premier League and Champions League. Although both squads are good enough to play a second string and beat most teams, they could easily go out in a one-off match, or even get drawn together in a later round, so the prices make little appeal. Liverpool, Spurs, Swansea and Southampton are all ‘top half’ Premier League sides, and this trophy may represent their best realistic chance of silverware this season. Liverpool and Spurs won’t necessarily see it that way though, as both still have faint designs on the title, and both are still in European competitions. 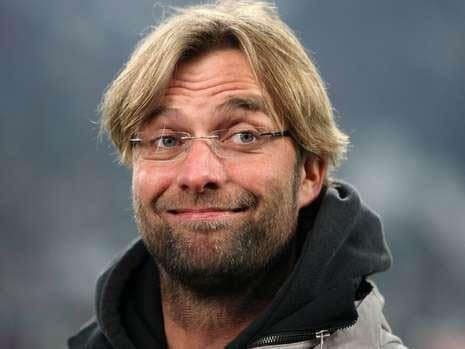 Liverpool can be backed at 7/1 8.00 +700 7.00 7.00 -0.14 with Bet365, but they haven’t reached the heights of last season yet, they’re clear priorities are the Champions League and a top four finish, and they have a tricky home tie tonight against Swansea. Spurs are also available at 7/1 8.00 +700 7.00 7.00 -0.14 with Bet365, but they also have a long campaign ahead of them, competing in the Europa League as well as on a domestic front. They do have a good-looking home tie against Brighton on Wednesday night, however, and on that basis probably make slightly more appeal than Liverpool. Swansea are priced at 20/1 21.00 +2000 20.00 20.00 -0.05 with Paddy Power, and they have shown how seriously they take the competition, having gone on to win it 2 years ago. On the downside, they will have to overcome Liverpool at Anfield if they are to repeat the victory. Southampton are a best price of 12/1 13.00 +1200 12.00 12.00 -0.08 with BetVictor, and have already knocked Arsenal out of the competition. They have a tough tie away at Stoke on Wednesday night, but they beat Mark Hughes’ men 1-0 at home on the weekend, and are playing some great football at the moment. West Brom, Stoke and Newcastle are the ‘lower’ Premier League sides involved, and it would come as no surprise to see their respective managers to prioritize Premier League points over Capital One Cup success. It’s 40/1 41.00 +4000 40.00 40.00 -0.03 on Newcastle with BetVictor, but they face a trip to the Etihad to play Man. City on Wednesday night, and it’s difficult to back them with that match on the horizon. West Brom are 33/1 34.00 +3300 33.00 33.00 -0.03 with Paddy Power, and that may look like a very good price if they overcome a resurgent Bournemouth tonight. Stoke can be backed at 25/1 26.00 +2500 25.00 25.00 -0.04 also with Paddy Power, and if they elect to play a full-strength side on Wednesday night, there’s no reason why they can’t beat Southampton on their way to the quarter finals. The lower league sides left in the competition are MK Dons, Sheffield United, Bournemouth, Shrewsbury, Fulham, Derby, and Brighton. We’d expect Shrewsbury and Brighton to lose to Chelsea and Spurs in this round, and we think Bournemouth, Fulham and Derby will all prioritize Championship points over this competition. Either MK Dons or Sheffield United will have their moment in the limelight in the quarter finals, but we can’t seriously back either to go on and win the competition. Although a couple of sides from outside the Premiership have made the final over the last five season, 8 of the ten finalists were Premier League teams. Discounting the two favourites – Chelsea and Man. City – we’re looking for a Premier League side, without the distraction of a European campaign, or a relegation battle. That leaves us with Swansea, Southampton and possibly Stoke. Swansea’s trip to Liverpool puts us off backing them. Stoke play Man. Utd, Liverpool, Arsenal and Spurs in 4 of their next 6 league games, and that set of fixtures may persuade Mark Hughes to rest his important players on Wednesday night. Which leaves us with our ante-post tip on Southampton. They have the right profile for a side to go far in the competition, and are good enough odds to make a profit if they finish as runners-up.